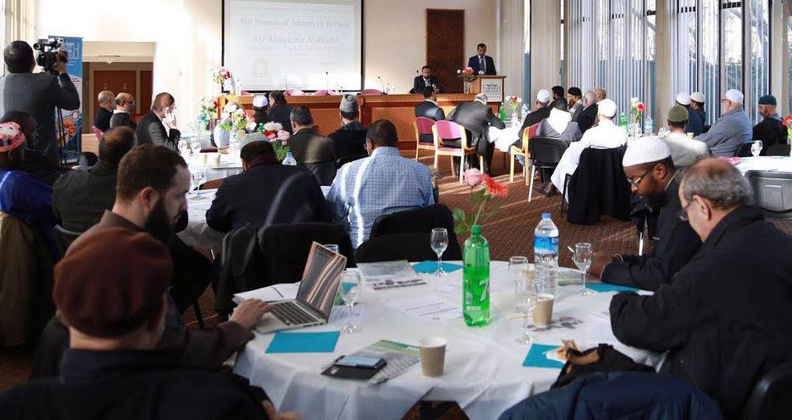 The Islamic Cultural Centre in collaboration with the Dawah office of Britain held it's 5th Annual Forum for Imams across Britain with the presence of over 100 Imams and religious scholars in the United Kingdom. Dr. Ahmad Al Dubayan - Director General of The Islamic Cultural Centre was glad to welcome the Imams to the Forum and highlighted the importance to support our communities with initiatives for youth to engage with the Muslim Community, correct representation of Islam in the Media and the significance of good governance and regulation of Islamic Organisations in Britain. Mr Abdulaziz Al Harbi, Director of The Dawah Office, welcomed the august audience and mentioned the importance of the Imams meeting together and discussing pressing issues and connected more with the community. Mr Al-Harbi payed tribute to His Royal Highness Prince Mohammed Bin Nawaf Al Saud - Ambassador of the Custodian of The Two Holy Mosques for his invaluable provision, support and blessings for the success of the Forum. The First Session of The Forum included a Talk by Mr Sufiyan Ismail Head of Muslim engagement and development (Mend) where he discussed pressing issues facing the Muslim Community which include Islamophobia. Sufiyan aimed to engage the Imams productively with the media and politics. The Second Session was served by Mr Ahmed Abd-Elghany who stressed on the duties of Imams and need to increase awareness and expertise in issues such as mental health, youth engagement, adoption and safeguarding children. Ms Aina Khan, Consultant Solicitor, encouraged Imams and Islamic Centre's to promote the use of Civil marriages when conducting Nikahs as a form of good practise. Ms Khan looked at legal issues facing Imams and responsibility of Imams to promote people to register their marriages legally, this will protect the rights of women and also children. Mr Ayaz Zuberi of The Islamic Cultural Centre looked at how we can build relationships with the community to promote the good efforts of Centres they represent. 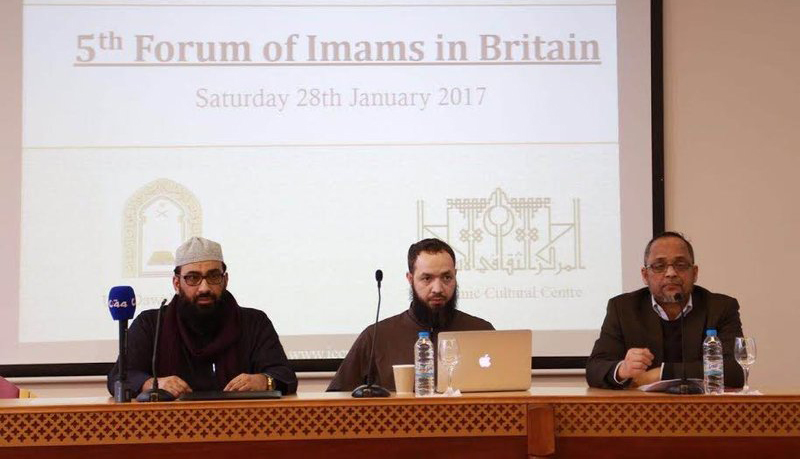 The Third Session incorporated presentation of Academic Papers from Imams across Britain with a question and answer session with the audience. Dr Al Dubayan concluded the event by thanking the Imams for their participation and looked forward to welcoming everyone in future training sessions and workshops for Imams to enrich their knowledge and understanding of topics such as media, social services and more.